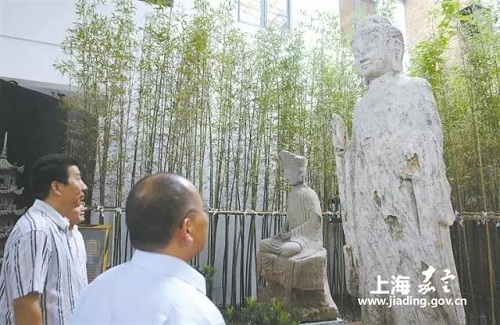 Taking up about 7,000 square meters, the Shanghai Xiangdong Buddha Museum boasts more than 1,000 Buddha statues, with the earliest dating back to the Northern Wei Dynasty (386-581). The statues span a broad range of styles, postures, and expressions. There are standing, sitting, solemn, and relaxed Buddhas on display. The museum encompasses a range of exquisite techniques developed in Chinese sculptural art and represents many different periods. Furthermore, there is diversity in terms of the materials used. There are gold, silver, bronze, iron, porcelain, ivory, and rosewood sculptures. For those intrigued by Buddhist sculpture, Shanghai Xiangdong Buddha Museum is certainly a great place to spend a ponderous afternoon.